Mr. Furman has served as a member of the Board since 1981 and as the Company’s Chief Executive Officer since 1994. He has served as the Chairman of the Board of Directors since January 2014. Mr. Furman has been associated with the Company and its predecessor companies since 1974. Prior to 1974, Mr. Furman was Group Vice President for the Leasing Group of TransPacific Financial Corporation. Earlier he was General Manager of the Finance Division of FMC Corporation. Mr. Furman served as a Director of Schnitzer Steel Industries, Inc., a steel recycling and manufacturing company, from September 1993 to January 2016. 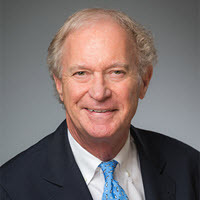 As a founder of the Company’s predecessor, Mr. Furman brings executive management and railcar industry experience to the Board as well as historical perspective on the Company’s origins and evolution.